Log4Net is library that you can use to manage data logging into flat files. The Log data might vary from informative messages, Diagnostics messages to Error messages and will help in debugging and troubleshooting issues on the application with out the need to debug the code line by line. The main purpose of this post is to show the minimum changes that developer needs to use Log4Net library. 1. Get the needed references in the project. 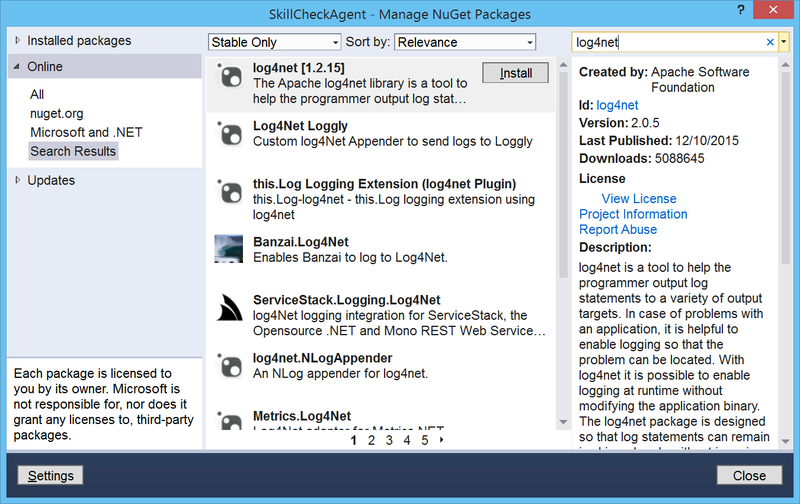 This will add Log4Net dll reference to your project references. under the selected project, choose properties node and expand it. open assembly.info file and add the following line. This line of code will tell Log4Net to be watching the xml configuration.